Mike Shadrack has been photographing gardens in general and hosta gardens in particular since the mid eighties and has a huge library of garden pictures. 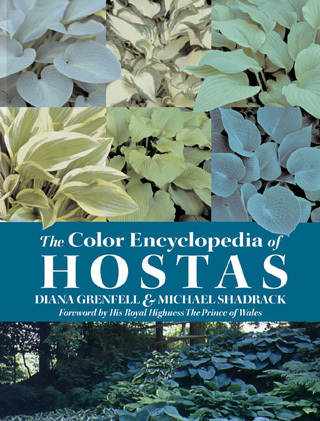 In 2003 Diana Grenfell, the English plantswoman and author asked him to provide the illustrations for a hosta book she was writing and in 2004 Timber Press published The Color Encyclopedia of Hostas, the first collaboration from these two keen hosta growers. 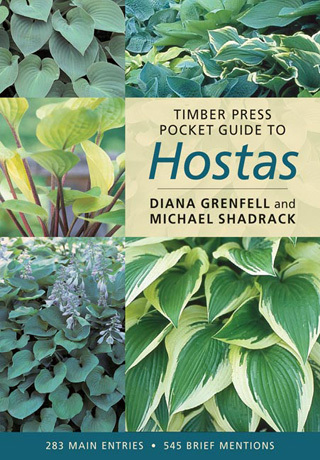 Timber Press subsequently published the duo's Timber Press Pocket Guide to Hostas in 2007. Both these titles are now out of print but we have mint copies available that we will personalize for purchasers. Timber Press published The New Encyclopedia of Hostas in 2009. During this period Mike collaborated with Jane Phillips to produce in 2006 a French book on hostas 'Les Hostas'. 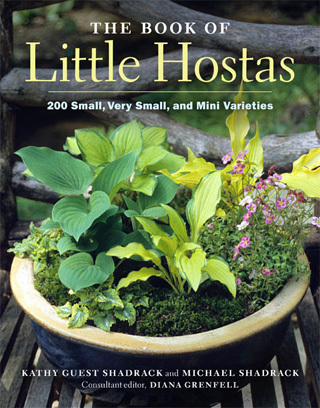 In 2009 Timber Press approached Kathy Shadrack with the suggestion that she should write a book on miniature hostas with Mike again providing the illustrations. 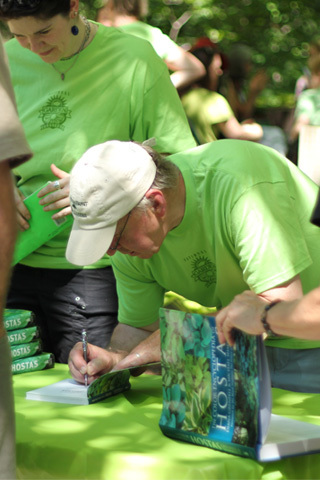 The project grew in the writing and late in 2010 The Book of Little Hostas was published. The book, designed to introduce general gardeners to the joys of growing and collecting the small hostas, has received some very impressive reviews and is selling very well. Please note. We have autographed copies of all our books available by mail order. Boasting diverse leaf shape, size, color, and texture, hostas are the supreme plant for shade. This guide features 280 of the best new and old hostas, each handpicked by veteran plantswoman Diana Grenfell for its superb performance in the landscape. The descriptions include botanical details to aid in plant identification and selection, succinct cultivation notes, and brief comparisons to 545 similar and related hostas. Fabulous photographs by Michael Shadrack accompany the descriptions. Gardeners will find this a practical reference for taking to the nursery or garden center and a valuable complement to the authors' comprehensive Color Encyclopedia of Hostas. The lush, sculptural hosta is loved by gardeners for its ability to both combine well with other plants and project a strong presence when planted alone. 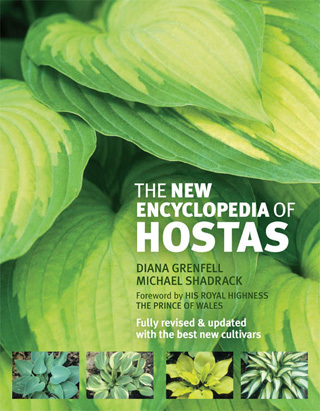 The New Encyclopedia of Hostas — the second edition of Diana Grenfell and Michael Shadrack's classic work — provides growth and cultivation information for seven hundred cultivated hostas. Detailed, easy-to-read descriptions include growing tips, recommendations for landscape use, and suggestions for companion plants. Clear cultivation advice is provided, including recommendations for hostas that succeed in challenging environments, such as the warmer regions of the United States. Captivating photographs show hostas up close and in a wide range of different garden situations. Gardeners will appreciate the depth and scope of this essential reference and use it time and again to help with plant selection and identification, and to inspire new plantings.